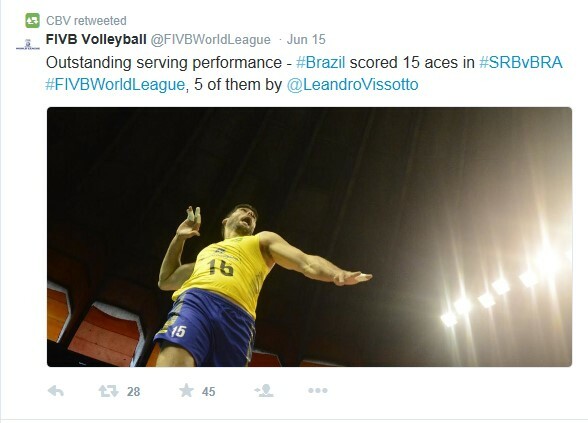 Lausanne, Switzerland, June 17, 2015 - Week six of the FIVB Volleyball World League features 36 matches played at different venues around the world from Thursday to Sunday, and it is already make-or-break time for several teams in the competition. In Intercontinental Round Group 3, the second set of preliminary round tournaments will decide which teams progress to the Group 3 Finals in Bratislava, Slovakia from July 4-5. Highlights in Intercontinental Group 1 include clashes between the two teams with the most World League titles to their name – Italy (eight titles) and Brazil (nine titles) – and the matches between Olympic champions Russia and world champions Poland. Millions of volleyball fans will also be watching closely to see whether defending champions USA and France - both unbeaten - can continue their winning runs. Only the three pool winners in Group 3 will qualify for the Finals. They will be joined by Group 3 Finals hosts Slovakia. World League debutants Montenegro (nine points) are favourites to win Pool F after three victories at the opening tournament in Podgorica. But Turkey (five points) still have their word to say, especially as they will be playing at home this weekend. "We meet again, this time in Istanbul and we will see what happens,” said Turkish captain Ulas Kiyak. However, as well as a clear win against Montenegro, the team must also rely on results going their way in the matches featuring Tunisia and Puerto Rico, who must take a point off the pool leaders. In Group 1, defending champions the USA have enjoyed a perfect campaign so far, with six wins from six home matches (17 points). However, the team featuring superstar Matt Anderson must play all of their matches in the second half of the preliminary round away from home. First up is a really tough challenge in the form of Iran (seven points). Following two away wins against Olympic champions Russia, there is a sense of euphoria among the millions of Iranian volleyball fans, and Iran have home advantage for their six remaining preliminary round matches. Only the two top teams from pools A and B plus host country Brazil will play the Group 1 Finals in Rio de Janeiro. The remaining Finals ticket goes to the team which wins Group 2. The Group 1 Finals will take place at the Maracanãzinho in Rio de Janeiro from July 15-19 and will serve as a test event for the volleyball competition at the Olympic Games in 2016, which will take place at the same venue. As hosts, Brazil have already qualified for the Finals and are using the World League's preliminary round as the perfect opportunity to warm up for the event. Next up for the pool leaders (14 points) is this weekend’s top-of-the-table clash with Italy (11 points). “The matches against the top teams in Europe like Serbia and Italy are always very difficult. And in the end we will all meet again at the finals in Rio,” said Brazil captain Bruno Rezende. Serbia (eight points) can take a big step towards the finals with victory against the bottom team in the pool, Australia (three points). The first match between the two teams on Thursday in Novi Sad will kick off the weekend’s action. 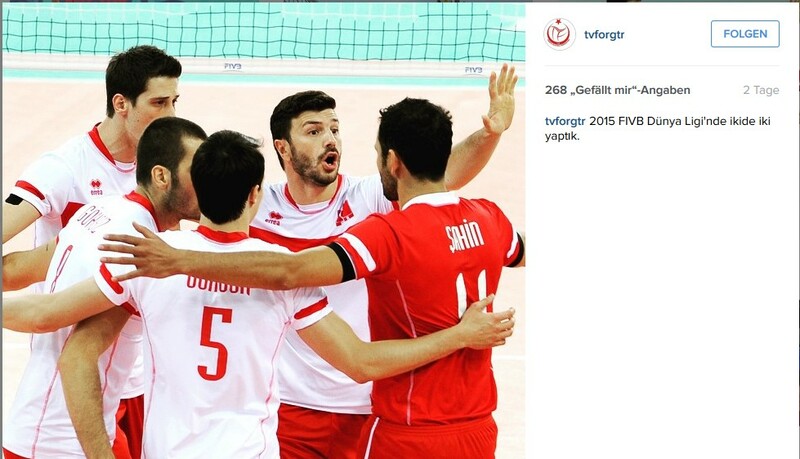 “Volleyball is once again one of Serbia’s favourite sports and I am delighted with the fans. We are improving our game each weekend and I am confident that we will take our place at the final tournament,” said Serbia opposite hitter Aleksandar Atanasijevic. In Intercontinental Round Group 2, France remain the only unbeaten team after six matches and are clear favourites to claim the Pool D ticket to the Group 2 Finals in Bulgaria. Coach Laurent Tillie is still taking the games in the Czech Republic seriously though: “We have to stay focused as we need another victory to confirm our qualification,” he said. In Pool C, leaders Canada (18 points) can take another step towards the Group 2 Finals with victory in Cuba, while Argentina (nine points) will strive to keep their hopes alive against Bulgaria (ten points). Finally, two wins against Portugal would see the Netherlands (13 points) move ahead of Pool E leaders Belgium (18 points), who have a weekend off. 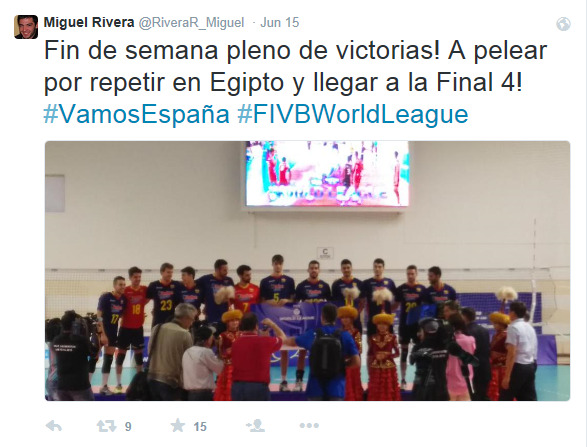 The FIVB Volleyball World League has expanded this year. 32 teams – four more than in 2014 – battle for the title at the most prestigious annual event in the volleyball world, which this year spans a record ten weeks.